I think they said his name wrong on purpose. especially with the last cutscene when the interviewr with spyro says, "guh-nasty guh-nork." at least, I always thought it was on purpose. I can't verify this since I found it randomly on Discord, but I figured I should share it anyway just in case. (Sorry for the gigantic image but I don't know how to make it smaller). I have never been happier to to read anything ever! 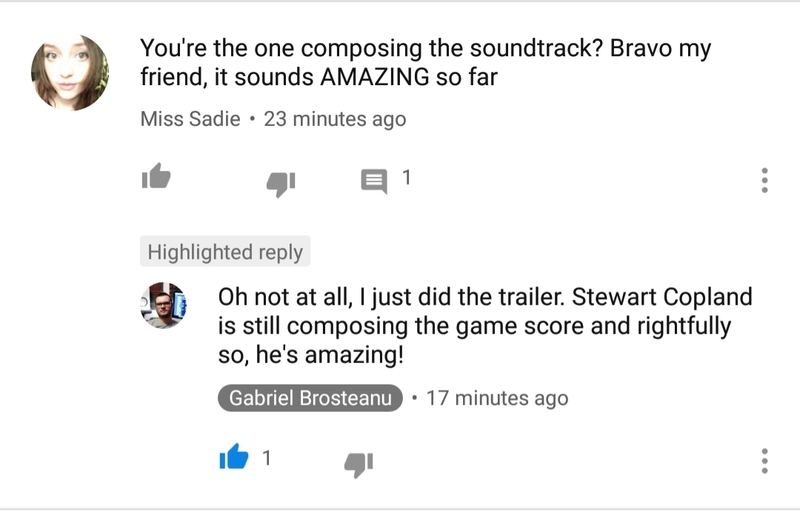 I don't think it's true because in their interview with the devs about the music they were talking about putting a twist on stewart's original music as if he was not a part of that. Honestly, I think the overall theme of Dark Hollow is fine, it's just that one instrument (I think it's an xylophone?) that kind of drags it down a bit, as it kind of feels out of place. I imagine that if they replaced that one instrument with something a little bit more powerful and fitting, the rest of the song could be kept the same and it'd sound better. Only the interviewer in the cutscenes pronounces it guh-nasty while all the other dragons pronounce it like nasty. So I think the mispronunciation was intentional. right? that's what I thought. I wonder if they will add new cutscenes to flesh things out a little. It was never mentioned whether the problem of the Forgotten Worlds' fading magic has been solved. I also thought the final cutscene in Year of the Dragon after getting the last dragon egg was kind of underwhelming. ^I think that's what we all hope. Boss and more story cutscenes in Spyro 1 and more cutscenes in Spyro 2 and 3. Spyro and the Sorceress never have a dialogue together is something that bother me. The main character and the main villain doesn't talk in the whole story with each other! I don’t think Spyro ever talked to Gnasty Gnorc either, but that honestly never bothered me. 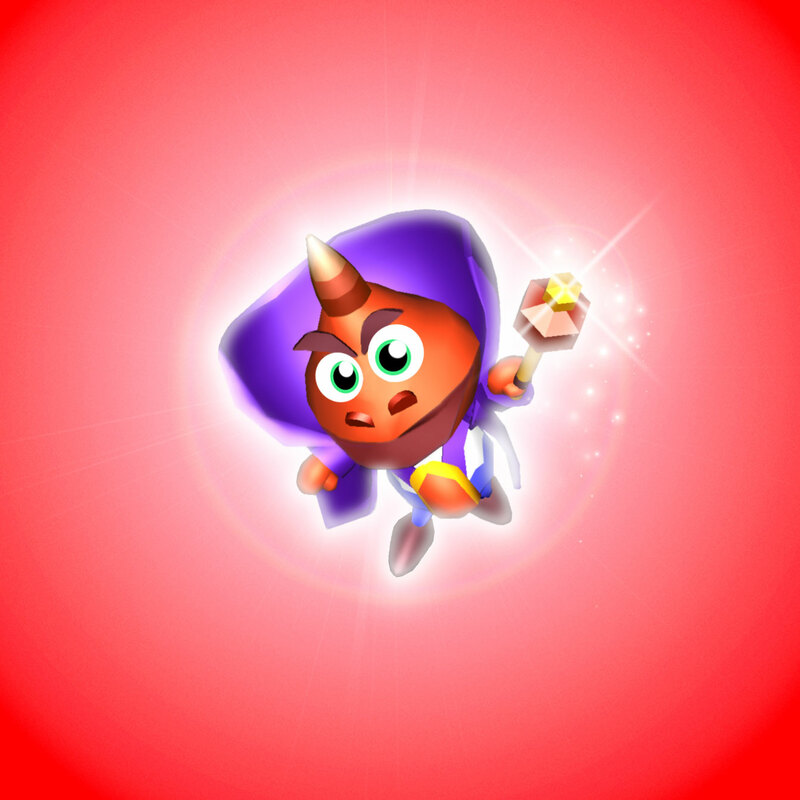 Gnasty turned out to be a huge coward, so it makes sense that he preferred to run away instead of facing him verbally, while I’ve always felt that the Sorceress considered herself to be so superior that she never really cared to talk with Spyro and most likely kept considering him a minor nuisance until she was eventually defeated. But I’d indeed like more cutscenes for bosses and mini-bosses, or even intros and outros like those for the second game. I think it would fit the Sorceress to say mocking words to Spyro before they are fighting. Maybe they'll replace those generic roars in the final fight with actual dialog? They can't hire the original actors just to rerecord every line from the original games with no new additions, after all. I mean, it wouldn’t make too much sense to do so but they actually could. Doubt they could use the old audio files anyway, so they could be aiming at “remastering” them in a similar fashion to the musics. But I agree that it would be a wasted opportunity. I mean, sure they could. They did with the N. Sane Trilogy. I'm playing the original game right now, and I'm disappointed in how much I feel like I'm just going through the motions. I've played it so many times over the last 20 years, that it just feels like same old, same old now. Which makes me even more anxious to get the Reignited Trilogy and finally experience it with a fresh new coat of paint. What I love about this trilogy is even though I played the games multiple times (think I’m around 15 with Year of the Dragon) I still find them highly enjoyable and I always get pure joy out of them. Just walking those locations, hearing those sounds, feeling those thight controls... Spyro definitely stood the test of time for me. But this can only make me even more excited for the remakes! I do have to admit that I think the first one is actually not that good of the game, and it's the second and third one that make Spyro good, as sad it is for me to admit this. But that's just how I feel about the franchise. I've often noticed that people who play Spyro later with no nostalgia goggles do often say that the first game has a lot of problems, such as disappointing bosses, and rate it as the worst in the trilogy. I agree on saying that considered the two sequels, Spyro the Dragons comes out as the less impressive in the end but to me that’s actually a positive result. Sequels are meant to top their predecessors, would have been worse if the first game was still considered the best out of the original trilogy. I think all three games have their strenght and weaknesses, and while the first one arguably has the best atmospheres, most inspired soundtrack and an interesting level design is still indeed pretty basic. Gateway to Glimmer and Year of the Dragon are all of that but much more refined and improved, in my opinion. I still enjoy all three games equally, they're not perfect by any means, there's good and bad things about every game. But what I like so much about the first game is the level designs, especially the last levels, they are so whacky and all over the place, and they're really interesting to explore, and the enemy designs are funny as well. There is a charm to the first game that the sequels don't have in my opinion. I think Spyro 2's controls still hold up pretty well today, especially the swimming, there's not many PS1 games that can hold swimming pretty well. Only other game that I can think of that has decent swimming controls is Tomb Raider. 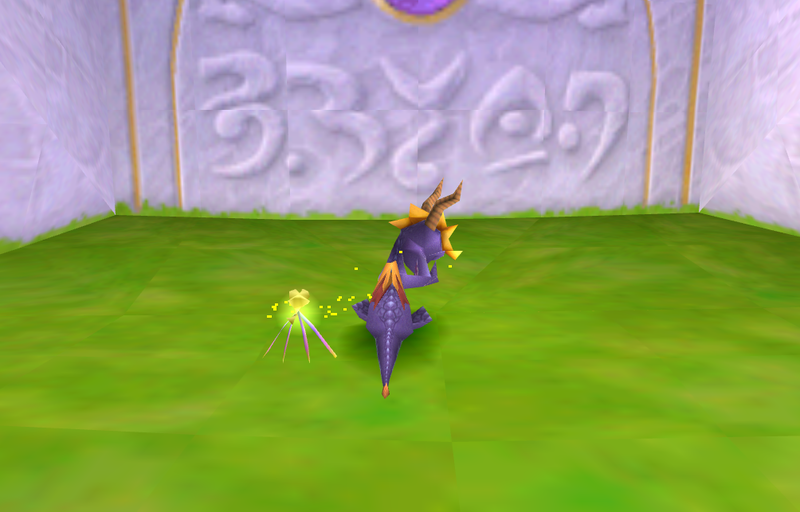 At the end of the day, Spyro 1 does get a little repetitive, but they do try and make it interesting with these weird level designs, and hiding some of the dragons and gems in "hard to reach" places makes the gameplay a little more satisfactory. And obviously in 2 and 3, they add challenges just to break up the monotony of collecting gems. There is something very satisfying about Spyro though, especially when you collect the gems, they're not as fun to collect in the first game because of the way they sound and look, they appear more interesting in 2 and 3, and sound a lot more fun to collect. Wonder if they'll keep the designs of the gems the same from the original game, and then change them in Spyro 2? One thing I can’t reproach none of the three original games with is repetitiveness. I feel like too many games, while still being fun, exaggerate in throwing at the players various quirks, gimmicks and side mechanics because they fear they might otherwise eventually get bored. No need to fear that if you are confident about the enjoyability of your title. Which is why I’ve always felt like Insomniac choose to add extra challenges mostly for the sake of experimenting, especially in the second game. They knew people loved the core gameplay but still wanted to take a step further. When you think about it the majority of Gateway to Glimmer’s quests are just the regular gameplay with added rules such as time limits, targets or specific tasks. Year of the Dragon deviates from that by adding unique gameplays through the multiple playable characters, as well as different vehicles or straight up unique camera angles. Regardless from the story and the characters’s personalities, which are honestly not the reasons why I play Spyro games for, that’s what I’m hoping for for future entries: a solid core gameplay modeled after the Classic one (looks like TfB already nailed it) with Spyro 2 and 3’s type of side-quests and new mechanichs able to compliment the basics and integrate well with them. Regarding gems’ sounds I completely agree, they are so much satisfying to collect in the second and third games. I doubt they’d keep the difference sound-wise, but seeing how they kept the first game’s design for the normal and metal chests I guess they may at least retain their original look as well. Yep, I stated somewhere else that I really want to see Autumn Plains, especially the part where you use the whirldwind to get to the highest point, it will be amazing. So I just noticed the ram on the far right here. Man that thing looks evil. This just mean TfB managed to capture its design to the point that is what I was seeing while I looked at that limited polygonal model. Skyro's NPC model still isn't as good looking as the ingame one though. Less is more sometimes, also not as proeminent of a ball head and unibrow. I was hoping my mistake would have passed unnoticed. But since we are (accidentally) talking about that, I never truly realized how much better Skyro’s Imaginators in-game model looked like compared to his Storyteller one. Haters could use that image when complaining about his look, and they would be up to date too! Skyro just needs a longer snout, like Modern Classic Has. Okay, yeah, he looks better there. lol Why did they use two models for him, though? He still speaks with mouth flaps though. The NPC model barely emotes more. What about the in-game cutscenes, though? I assume the lip-sync might be needed for that. omg, yes, I loved that long glide! ;~; I felt like I was really flying the first time I did that! The only problem I had with the original games was that the speedway levels had such tight time constraints. One mistake and you automatically lost unless you were ridiculously good. To be fair, the speedways in YOD were better, but that was mostly because they were a bit more linear (less stuff where you have to plan your path based on location and/or the movement of separate sets of targets). The race parts were also fun. Other than that I can't really complain. It was nowhere near my most difficult PS1 experience. That honor goes to the boss battle with King Galaxian in Pac-Man World. I would always die before I could destroy his last eye. I did eventually beat him though, and the rest of the game was easier by far. The speedway/flight levels are harder than any of the ordinary and boss levels, it is a bit of a weird difficulty spike. Don’t know, I found them super hard when I was a kid and always let my father complete them for me because they weren’t fun either, but the last times I replayed the games I actually enjoyed them and they never took more than 2 or 3 tries to be completed. By the way, no new image from the socials...? I was kind hoping they would have been regular with them, but maybe they’ll simply stick to 2 pics per week without having set days. I never had the patience to sit down and work out how to complete the speedways as a child, but when I got older, I actually went through each of them and figured out routes, they aren't the fastest by any means, but they work fine, and that suits me, plus it's really satisfying to complete them. The skateboarding races are a pain, it would probably help if you're really into skateboarding, and doing tricks, and all that stuff, but when you're someone who's not really into it, it can make it a lot less enjoyable. The only skateboard challenge I like is the one in Sunny Villa, it's a lot more laid back to complete, even the next one with the timer. Other than that, I'm not really a big fan of them. I always cheat to get infinite boost in the Super Bonus Round, doubt I'll be able to do that in the new one. I was hoping that they would give us a screenshot of Sunny Flight, or Town Square. I get the feeling that Town Square will look similar to Toasty in terms of lighting. Maybe even a gameplay screenshot of Lofty Castle? Off topic. That boss and that game are one of my all time favorites. If I’m not mistaken, you regenerate all your health each time you take out one of his eyes. Also, I like how that boss is three classic games molded into one, and the music compliments it. Oh yeah, even now I aim at effectiveness with speedways, definitely not fast times. Skateboard challenges are fine, even the one in Enchanted Towers is enjoyable, but the races in Lost Fleet and the Super Bonus World are indeed one of the hardest parts in all three games. Skateboarding in general is probably my least favorite mechanic of Year of the Dragon in general though, so that doesn’t help. Yup, seeing how they posted a screenshot from Tree Tops and then one from Peace Keepers’ World I think itKs safe to say they aren’t following any specific logic and simply go with whatever works with the comparisons captions. I’d like to see more of Lofty Castle or Town Square as well, especially because while I think the lighting will be very similar to Toasty the level itself will have something to set it apart from the boss one because TfB really seems to want to make every location feel unique, but at the same time I don’t want to see too much of the game either. 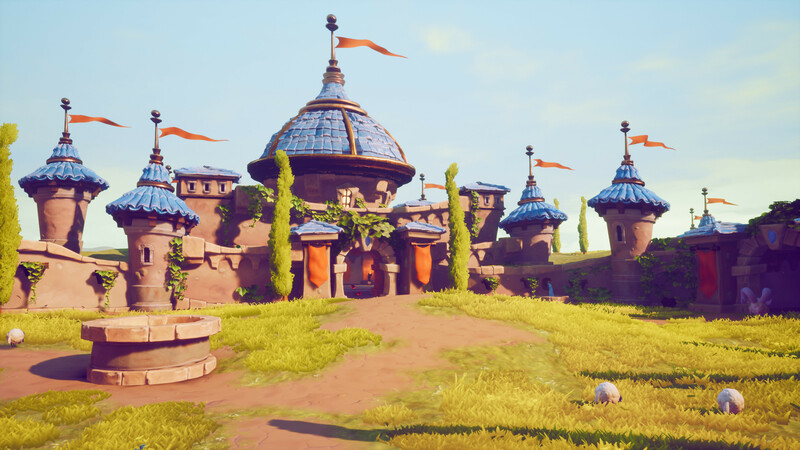 Rather see more of the levels we’ve already seen, such as the big dragon head or beach in Artisans or the tar pits in Peace Keepers. Even a better look at Beast Makers would be interesting. It just now occurred to me, but what is the Xbox One version going to replace all the easter eggs referring to Dan Johnson with? does playstation own that man?? Dan Johnson was an Insomniac employee, wasn't he? Not Sony? So Microsoft shouldn't have any more issue with him than Sony would, it would probably be Toys for Bob who, if anything, would want to replace it, since they're the developers now, but I doubt they would remove it. That would just be disrespectful and mean, and TfB has been friendly with Insomniac so far. They might change it to a reference to Insomniac as a whole though, since newcomers would miss it when it's a single person. To be honest, I didn't even notice the Dan Johnson references/easter eggs in the games until a long time later, I've only known about them for a few years. Same with the names on the walls in Summer Forest, and on the doors in Winter Tundra. Didn't really know about them until I got the Internet. Maybe the moon from the Insomniac logo will show up somewhere just like how you see the Naughty Dog paw print in N.Sane Trilogy.